Golar LNG Limited (Golar) announced yesterday that, further to the announcement made on February 26 with regards to the BP Tortue project, Gimi MS Corporation (Gimi MS), a 70% owned subsidiary of Golar, has received a firm $700 million underwritten financing commitment for the FLNG Gimi. FLNG Gimi will service the 20-year Tortue contract with BP due to commence in 2022. Available during construction, the financing has a tenor of 7 years post COD and a 12-year amortisation profile. Clifford Capital Pte. Ltd, ING Bank N.V., Natixis and ABN Amro Bank N.V. acted as facility underwriters. Concurrent with receipt of the financing commitment, First FLNG Holdings Pte. Ltd (FFH), an indirect wholly owned subsidiary of Keppel Corporation Limited held through Keppel Capital Holdings Pte Ltd subscribed to 30% of the total issued ordinary share capital of Gimi MS. Gimi MS also issued Keppel Shipyard with a Final Notice to Proceed with FLNG Gimi conversion works that had been initiated under the Limited Notice to Proceed in December 2018. Project developers of the Croatian FSRU facility, LNG Hrvatska d.o.o. have also issued Golar with a Notice to Proceed with the conversion and subsequent purchase of the 2005 built LNG carrier Golar Viking. Conversion capex will largely be funded by stage payments from LNG Hrvatska under the agreement. After a robust vetting process Hudong has been selected as the yard to undertake the requisite conversion works. CSSC Leasing, an affiliate company of the yard, is expected to provide both conversion financing and bridging finance for the current vessel facility between yard entry, expected in 1Q 2020, and sale to LNG Hrvatska for 159.6 million EUR upon completion. 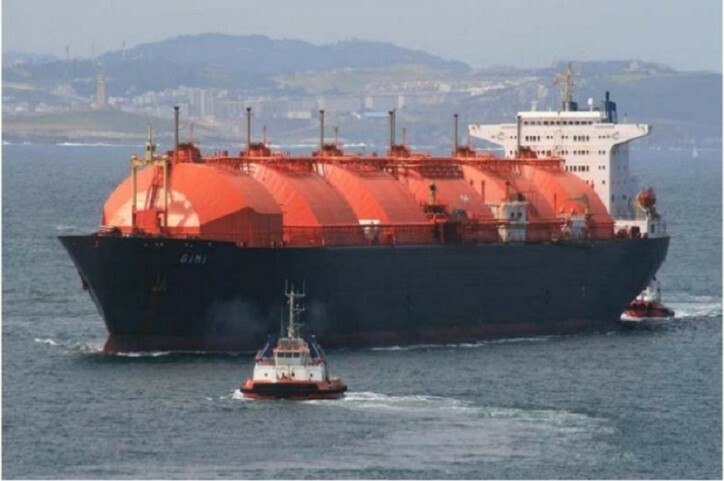 Golar will also receive an annual fee to operate the FSRU for 10-years.